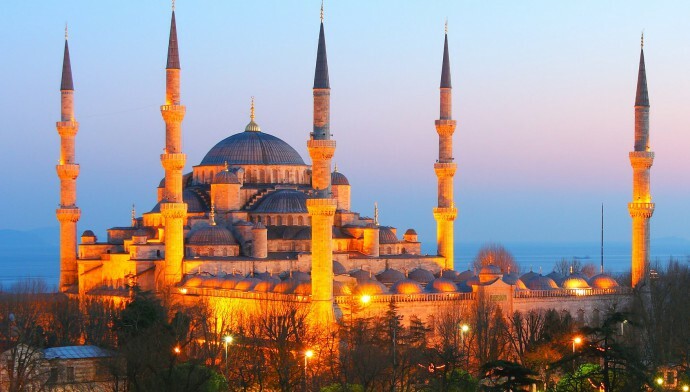 Istanbul, the capital of Turkey and the largest city in the country, is truly captivating. The city has a rich historical past and has over the centuries been the citadel of three great empires – the Roman, the Christian Byzantine and the Islamic Ottoman rulers. Istanbul is a global city with a unique character. It is at a vantage point aptly displaying the traits of Asian and European influences because of its unique topography straddling the two continents – Asia and Europe. Visit Istanbul’s old city and you will find yourself in Europe, while visit the modern and new part of the city and you are in Asia. Surprising, isn’t it. When you are visiting Istanbul, you are in a city where you will simultaneously be in Europe and Asia. This uniqueness of Istanbul is the prime reason that millions of tourists from different parts of the world visit this magnificent Turkish capital year after year. Istanbul’s typical blend of the ancient and modern are aptly depicted in its many attractions such as the Byzantine ruins, beautiful mosques, palaces, vibrant bazaars and hammams. Visiting Istanbul would just be great, especially for whom art, culture and heritage matters the most. 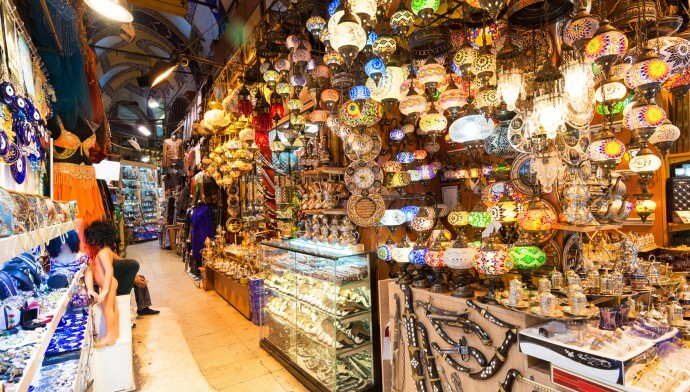 Istanbul has been attracting visitors from various parts of the world since ages. Tourists from U.S., Asia and other places have been visiting the city in large numbers year after year. Istanbul is well connected from different parts of the world with many airlines offering nonstop or connecting flights such as Turkish Airlines, US Airways, American Airlines, Asiana Airlines, Lufthansa and Air China. If you are traveling from the United States, Turkish Airlines is the best option for you to connect to Istanbul. The airline is currently offering nonstop flights from three U.S. cities including New York, Chicago and Washington D.C. Whether you are traveling from any one of the U.S. cities, it will take over 11 hours for the flights to reach Istanbul. Given the distance and duration of the flights, the very idea of flying to Istanbul makes passengers jittery. The only reasons that cause worry are exhaustion and jet lag. The best option therefore would be to book business class flights to Istanbul. However, if you want to save some money and make your flights affordable it is recommended that you must book your tickets at least 4 to 6 months in advance. This will surely help you save some extra bucks and ensure that your journey is comfortable. Turkey’s national carrier Turkish Airlines is presently operating Boeing 777 aircrafts on its New York-Istanbul route. The airline has upgraded its service in its premium cabins like First Class and Business Class. The travelers are being offered top notch services and amenities like a lie-flat bed seat, personal touchscreen monitors, comfort kits comprising blankets and pillows, and complimentary food that are simply incredible. For booking cheap airfares to Istanbul, you can look up to Fare Buzz, a leading Travel Company, specializing in discounted fares. Contact our travel experts at 1-800-847-1963 today!